Imagine an easier and perhaps improved life with tools like a “Dog Quieter”, a “Body Blankie” or a “Sticker Vader”. 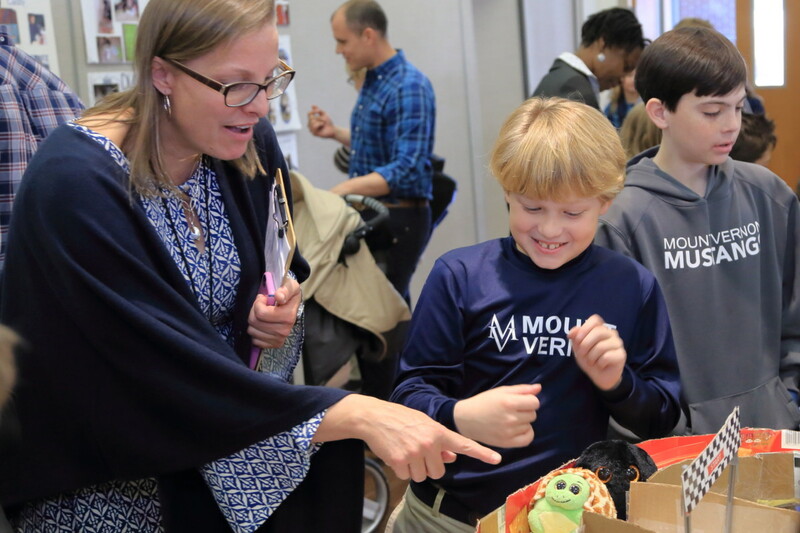 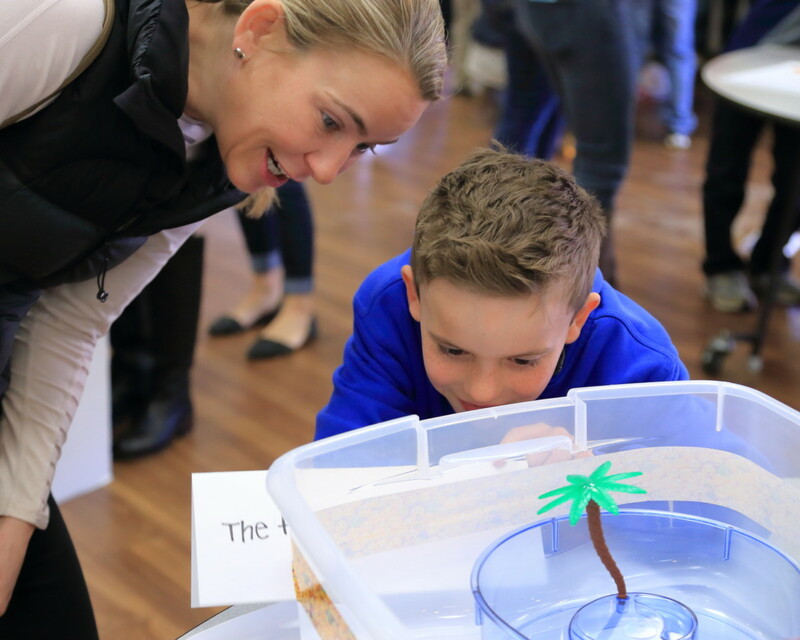 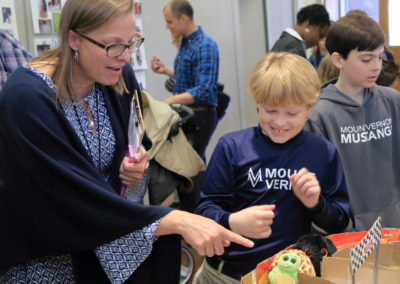 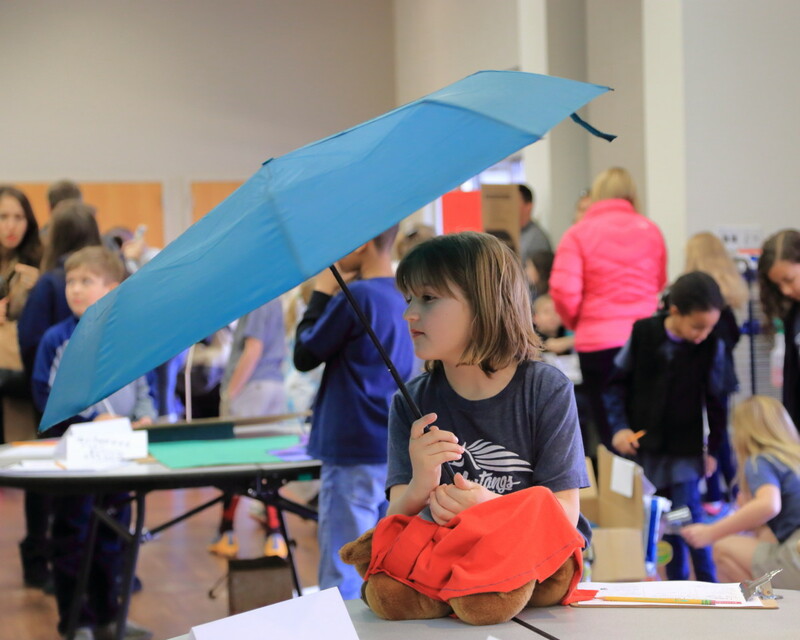 Mount Vernon’s second graders went beyond imagining to bring these tools to life through the 5th annual Invention Convention. 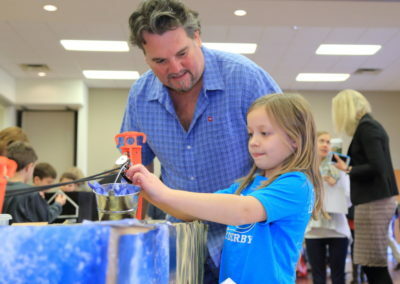 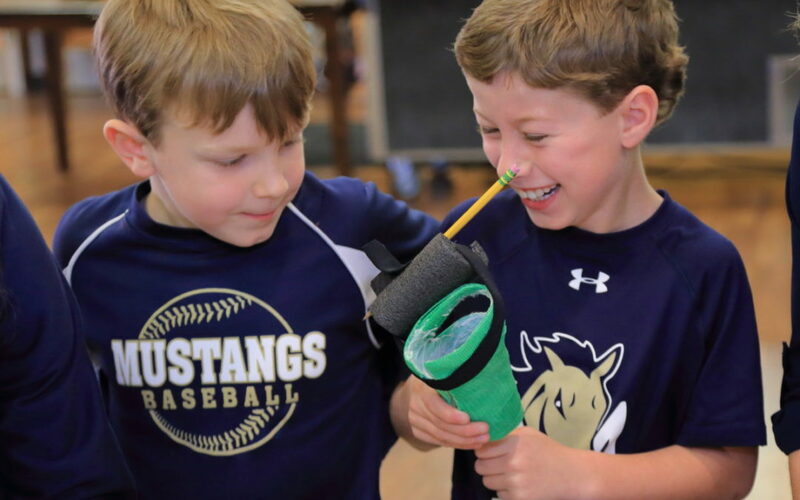 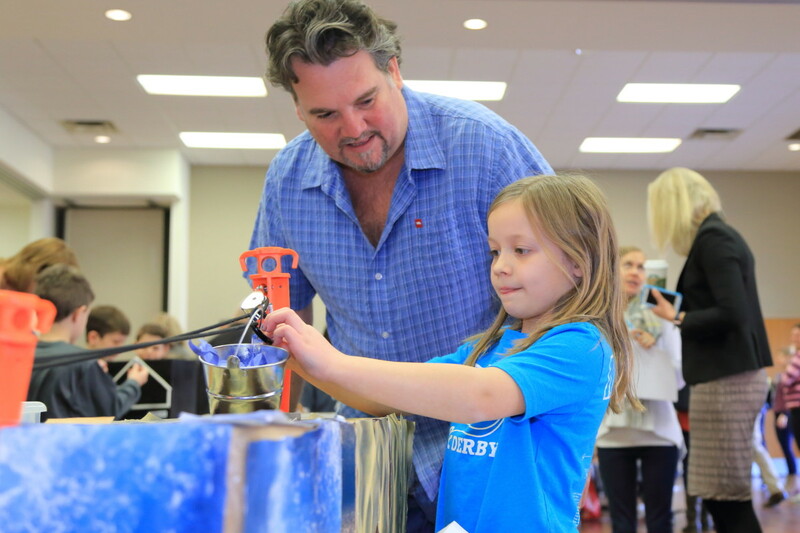 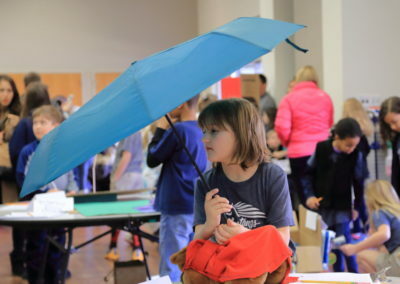 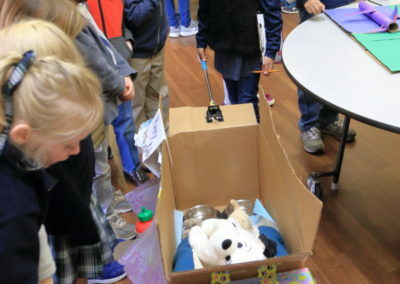 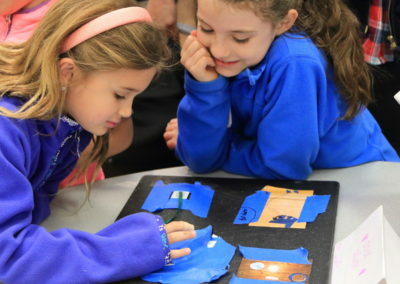 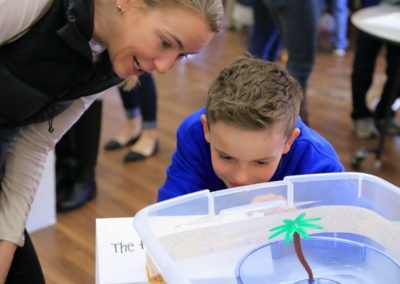 Over the course of a 6-week unit, grade 2 students gained in-depth, real-world learning experiences as they brainstormed, designed, and built invention prototypes. 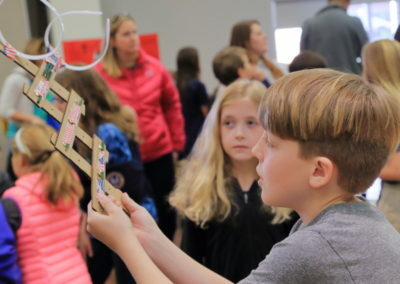 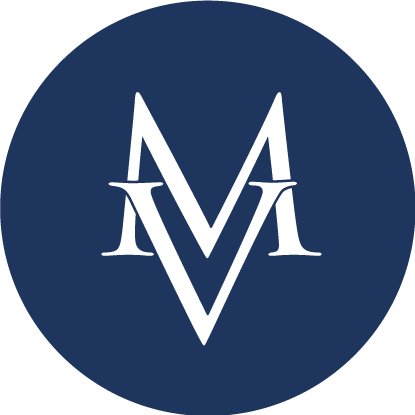 Students learned that the inventing process is oftentimes the result of making mistakes and that these “fail up” moments can ultimately lead to success. 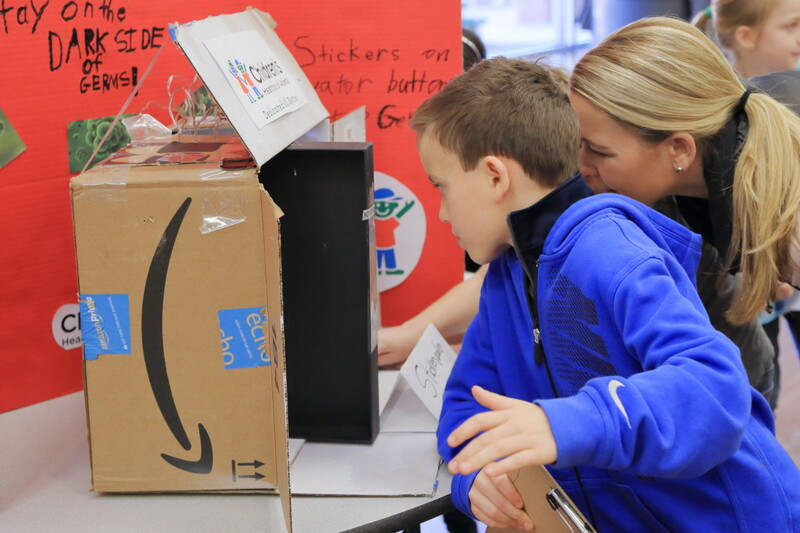 The project gave students the chance to apply the skills they learn in school to personally relevant and community-based situations. 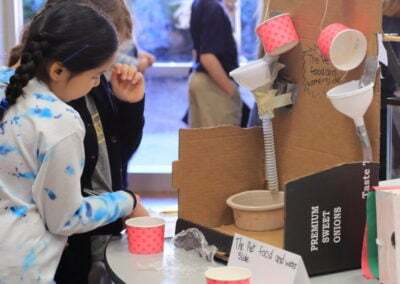 After considering the driving question, “How might we create inventions to improve our lives and community?”, all second grade students set out to determine a potential, everyday problem that they could help to solve with their very own invention idea. 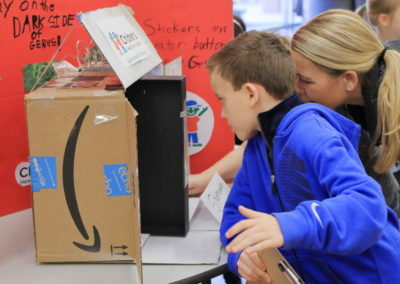 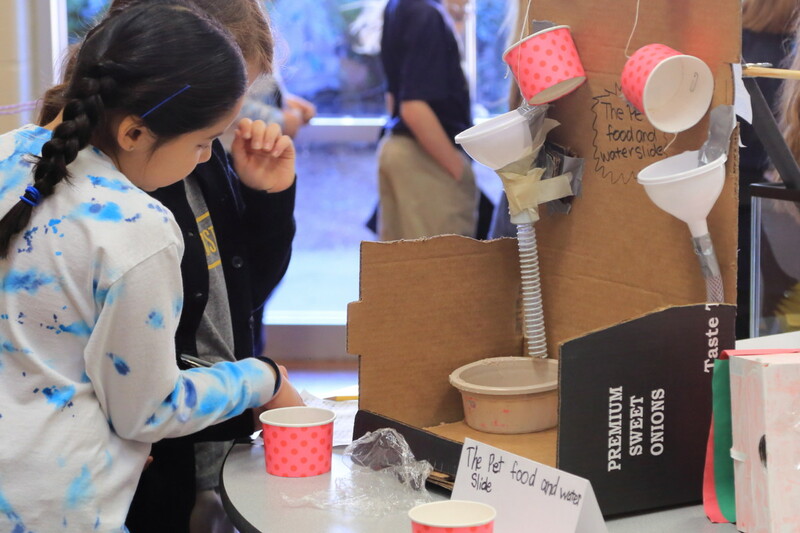 While students stayed busy designing and building their prototypes at home, at school they learned about famous inventors, inventions that have changed the world, and they even discussed the importance of determining and staying within a budget. 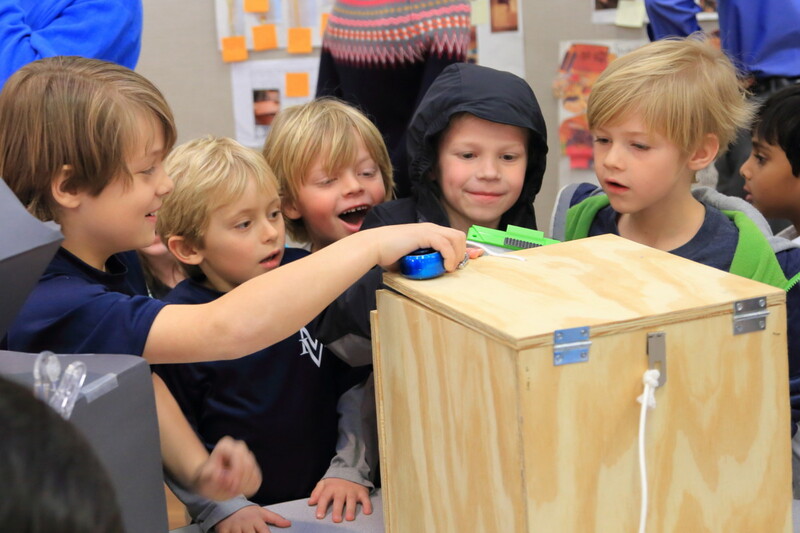 Kind, helpful, and specific feedback from their peers helped the second grade students to periodically self-check their progress and helped to guide revisions and tweaks to their prototypes. 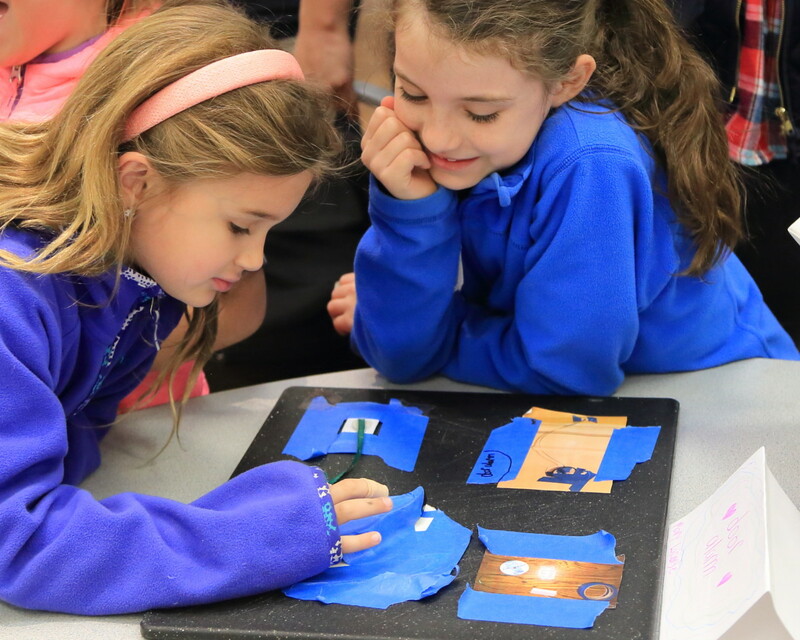 A Project-Based Learning (PBL) approach was implemented into the unit when the second graders were challenged to collaborate with classmates to solve real problems faced by the Facility Team members in our Mount Vernon community. 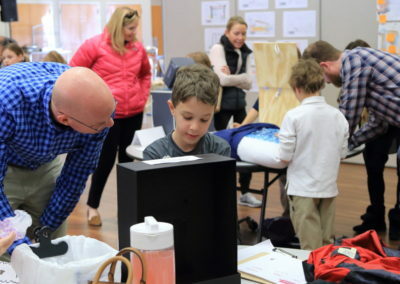 After conducting multiple empathy interviews, students built prototypes for Mr. Steve Ray and his team. 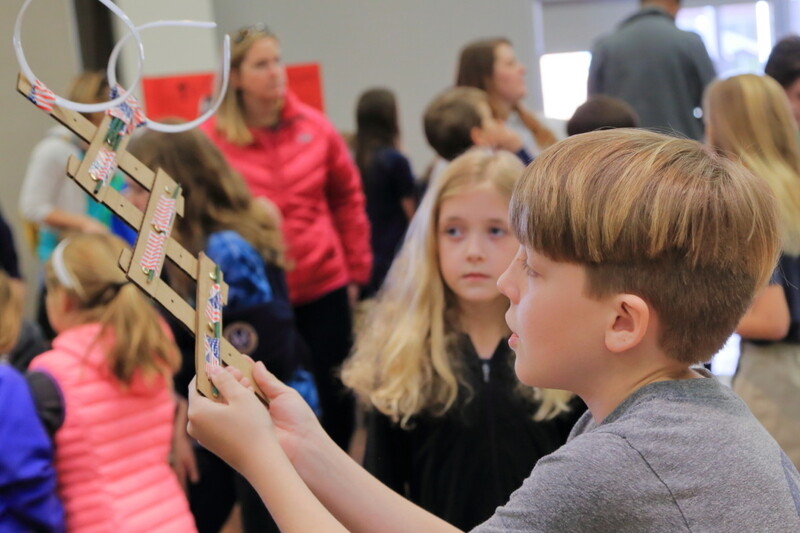 Examples of these prototypes included an automatic mop, scissor linkage shoes to cut carpet strings, and a new type of window washer. 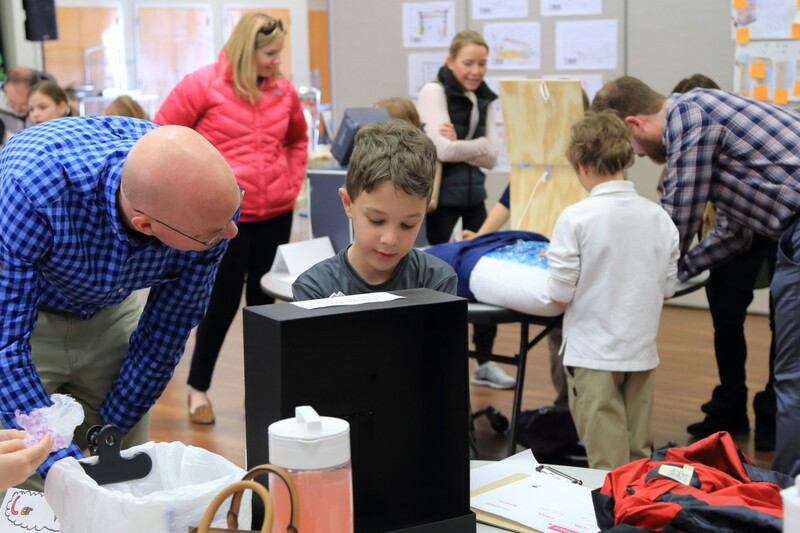 Excitement was high as parents, teachers, and classmates gathered in Fellowship Hall for this year’s Invention Convention kick-off skit. 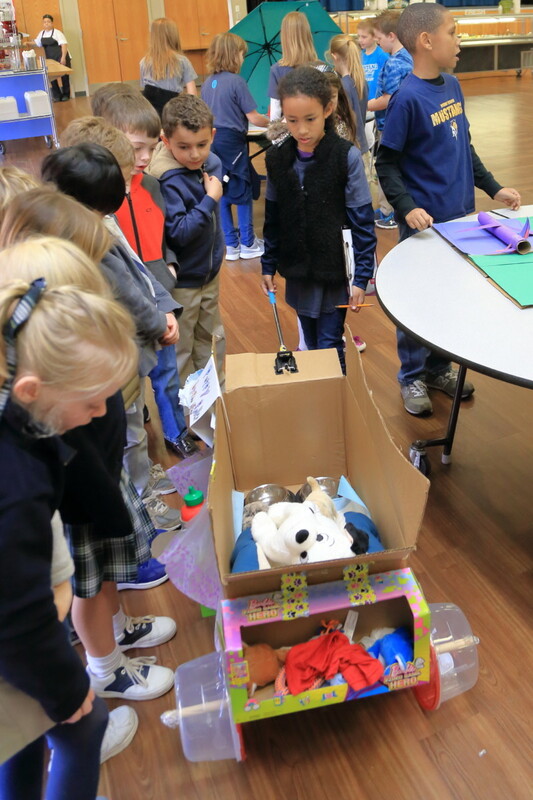 With guidance from Head of Lower School Shelley Clifford, a small group of second grade students produced and acted out a skit that informed their audience of the journey they had taken through the Invention unit and the many things that they had learned along the way.